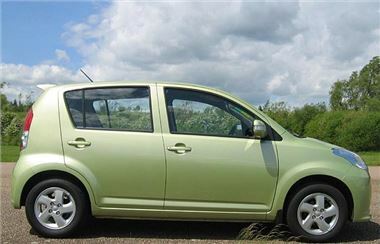 Perodua has announced that it is extending its £1,000 Swappage Allowance offer until 31st October 2010. It means that Perodua customers with a vehicle to part exchange can benefit from a £1000 minimum trade-in, regardless their car's age or condition. With the saving, the Perodua Myvi starts at £6,799 and comes with comes with air conditioning, four electric windows, electric door mirrors, central locking, integral radio/CD player and power steering, body-coloured bumpers, door handles and mirrors with integral indicators as standard, plus the added bonus of a choice of exciting metallic paint and high gloss finishes at no extra cost. The automatic option is £700 extra.